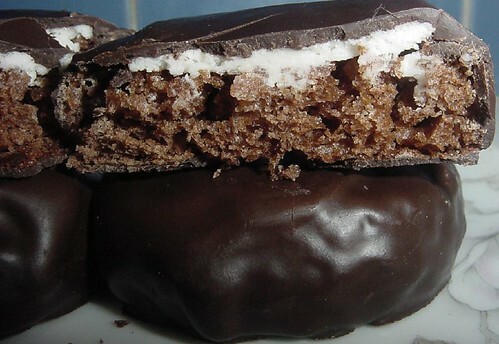 Tastykake Chocolate Candy Kake, a Philadelphia favorite. I'm glad to be able to buy them in L.A. without having them shipped. Amazingly, this reminds me of the sticky insides of the mystery pod! It certainly tasted better though!